An activist attorney is killed in a cute little L.A. trolley called Angels Flight, far from Harry Bosch's Hollywood turf. But the case is so explosive—and the dead man's enemies inside the L.A.P.D. are so numerous—that it falls to Harry to solve it. Now the streets are superheating. Harry's year-old Vegas marriage is unraveling. And the hunt for a killer is leading Harry to another high-profile L.A. murder case, one where every cop had a motive. The question is, did any have the guts? 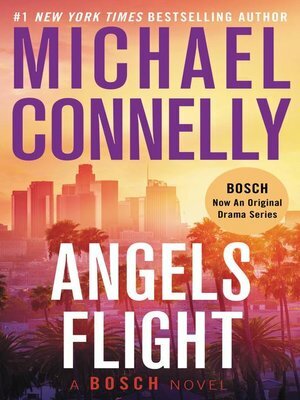 Michael Connelly is the author of the bestselling series of Harry Bosch novels and the bestsellers Void Moon, Angels Flight, Blood Work, and The Poet. He lives in Los Angeles.